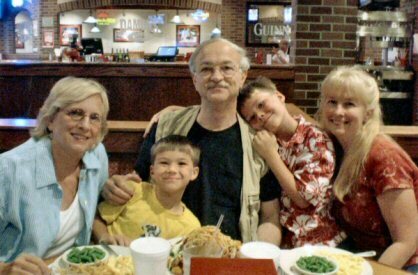 In the fall of 2003, I learned I had a daughter Cherette (and grandsons Tyner and Chase) I had never known about. 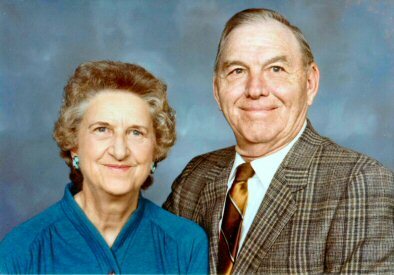 She was the first child of my college sweetheart, Diana, who, in 1966, left me to return to her previous boyfriend. Confirmed by DNA testing, the discovery could not have been more welcome. 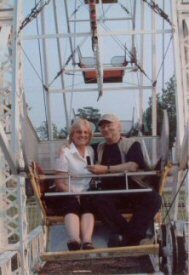 (After getting engaged on a ferris wheel, Diana and I married on April 1, 2006.) 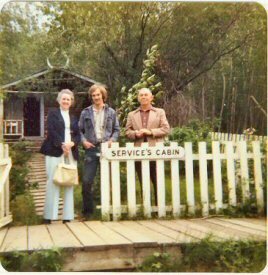 Shown below are my late parents, J. Wendell and Ella (Turner) Nickell, who posed with me in the photo at Robert Service's historic cabin, Dawson City, Yukon Territory, in June 1975.